This design special designed for Cops with Kevlar lining and enhanced velcro closure and texture rubber palm. A heavy duty supreme quality leather glove with 8 oz steel shot in the finger fist. 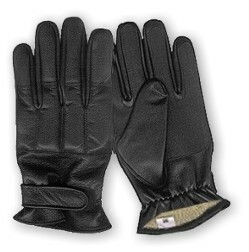 It has also the textured grip palm and enhanced Velcro closure for tightening the grip and snug fitting. The four separates pockets design with equally inserted the lead shot. You have seen the deferent kind of SAP in the market but it is deferent and something special. o Dupont® Cut resistant Kevlar® lining. o Textured gripped full palm. o Four pockets for separate inserted the 8 oz shots. o Enhanced Velcro closure for best fitting.